The Department of Music in the The School of Arts and Social Sciences welcomes Andrea Young as part of its 2017-18 Research Seminar Series. The seminars are open to all - no registration necessary. The Digital Voice Interface is a live analysis of voice which extracts individual features that may control any parameter of electronic sound. The voice is both the instrument and the interface for the live-electronics which is, in turn, infused with “vocality”. Through a demonstration of this tool, a question of vocality is raised: is vocality more than the sum of its features, and if so, does the process of voice lend a greater vocality than the sound of the voice itself? A philosophical, musical and scientific discussion of voice provides both content and form for new works featuring The Digital Voice Interface in live-electronic and chamber ensemble settings. Andrea Young is a Canadian performer and composer specializing in experimental voice and live-electronics. She performs an acoustic, amplified, processed and resynthesized voice, as well as a re-purposed sound-controlling voice enabled through feature extraction and data-driven live electronics. While her work relies on digital innovation, her musical output relies on the integration of her digital interface with analogue and re-purposed electronic media. Her compositions and performances have been presented by Vancouver New Music, Calgary New Works, Open Space New Music, Galerie Sans Nom and Innovations en Concert in Canada. Internationally, her work has been presented by REDCAT and Automata, Los Angeles, Casino Baumgarten and Espace Senghor for Kyma International Sound Symposiums in Vienna and Brussels, The Emily Harvey Foundation, New York, as well as during ICMC in Athens. Andrea is also dedicated to performing for other composers – primarily for André Cormier during the Wandelweiser festival in Düsseldorf, Germany, for Community MusicWorks at the RISD Museum in Rhode Island, USA, and at Galerie Sans Nom, New Brunswick, Canada. Her research has been published in The Leonardo Music Journal Vol.#24, her performance of Agostino di Scipio's Audible Ecosystemics No.3b was published by La Camera Verde and she is affiliated with several performing ensembles in Canada, USA and Europe including EXO//ENDO, OFFAL and Ensemble SISYPHE. 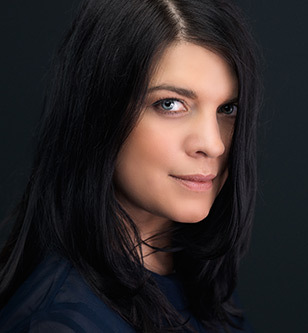 Andrea studied vocal performance and composition at The University of Victoria (2001), electronic music at The Institute of Sonology, The Hague (2007), and completed a DMA from The California Institute of the Arts, Valencia (2014). Her creative work, travel and studies have been enabled by several awards from the Canada Council for the Arts, the BC Arts Council and The Herb Alpert School of Music.